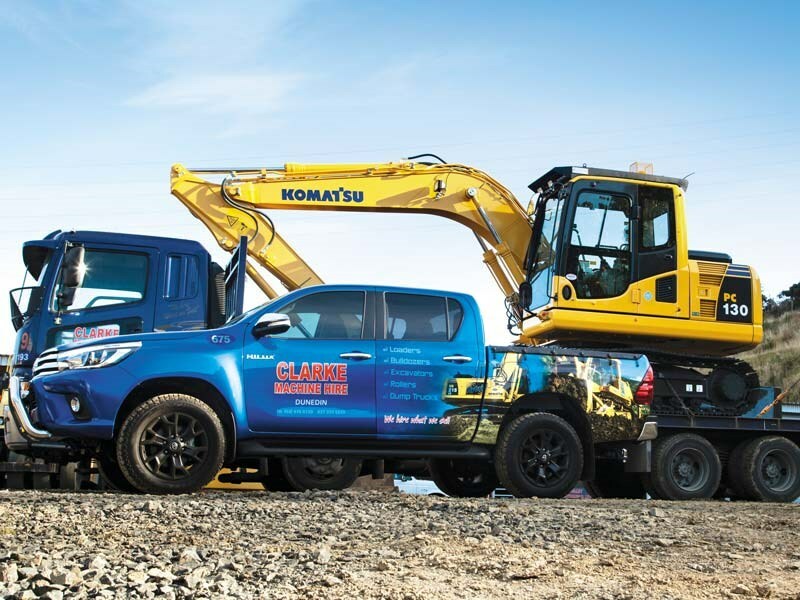 One of New Zealand’s largest equipment hirers, Clarke Machine Hire has an overwhelmingly Komatsu fleet for a whole host of reasons. 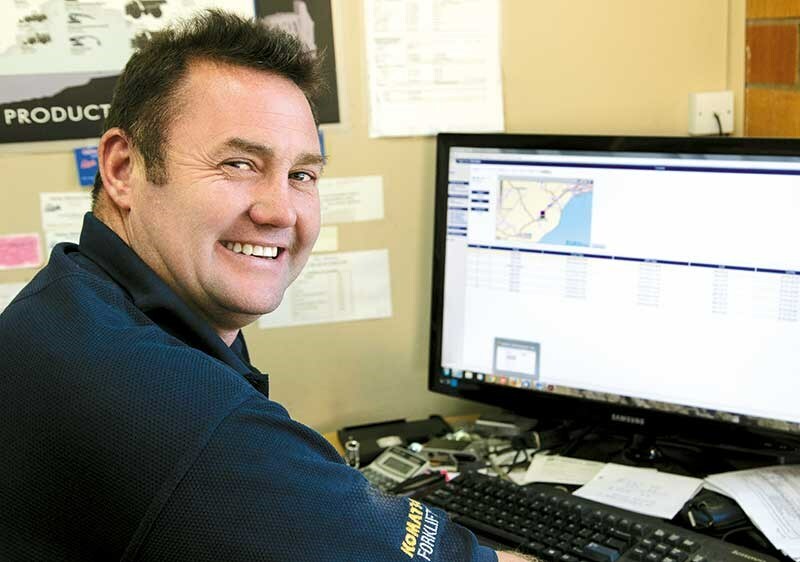 Machine quality and reliability, customer acceptance, service and support, resale value, safety features and the KOMTRAX remote monitoring system are some of the features that have influenced this progressive South Island business. The company owns more than 300 Komatsu machines, including excavators, dozers, graders, articulated dump trucks and rollers (which it purchases out of Japan) out of a fleet of around 330 machines – and is now standardising on Komatsu across all machine types, says owner Paul Clarke. Based in Dunedin, with branches in that city, along with two in Christchurch and one in Cromwell, the company hires equipment to contractors and mining companies throughout the South Island, as well as to mining operations in the North Island. Clarke Machine Hire has become one of the biggest Komatsu owners in New Zealand, since it bought its first Komatsu machine in 2003, and its first new Komatsu in 2006. The company started up in 2001, and according to Clarke, the key to its success has "been buying the right gear". "The business model we’ve used since we started has been to create our own used equipment fleet to sell as we go along," he says. "Particularly with our excavators, we don’t run them to high hours; we put them on the market when we get to 2500-3000 hours. 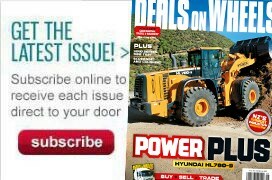 People are happy to buy low-hour excavators and we get a good following for hiring out late-model low-hour machines." Clarke has continuously bought Komatsu since his first new one in 2006, and as he says, "there’s not much in our fleet today that’s not Komatsu." 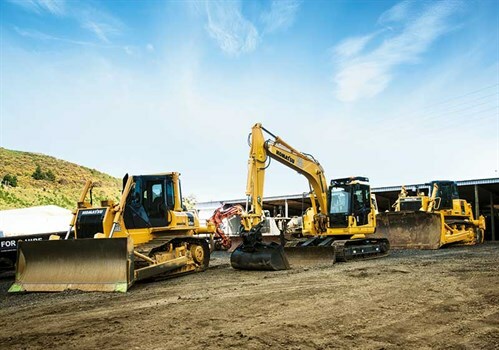 "We have a very good local sales representative, we get good backup and information from Komatsu New Zealand and Japan – we run our own workshops and they give me all the information I need – and they are a very good product," he says. "I do get very good support from Komatsu Japan, which is where I purchase my Komatsu rollers – which aren’t sold in New Zealand – plus I buy used Komatsu graders out of Japan, and I have the full support of Komatsu NZ in this. "I’m basically standardising on Komatsu because I find it easiest to have everything under one roof. It would be pretty hard for me to change due to the level of support I get from them," he says. Clarke’s most recent purchases since December 2015 have been three PC30MR-3s, five PC55MR-3s, four PC88MR-8s, five PC138-8s and threePC130-8s, two PC228LC-8s and a PC450LC-8. "We’ll probably get a new Hybrid HB215-1, to add to our existing HB215 and HB205-1," he says. "We’re getting a good following for the Hybrids. As we are all dry hire, customers pay the fuel costs, and so they get the flow-on effects with the fuel savings. "They are a really good machine to operate – operators love them – and the fuel savings, particularly in remote areas, mean they don’t need to cart so much fuel in. Typically our customers are getting 15 to 20 percent fuel savings with them." A key reason for Clarke now standardising 100 percent on Komatsu excavators has been their in-built safety features, particularly the factory fitted hydraulic anti-drop valves. As of the beginning of April 2016, following legislative changes, drop valves have become a requirement on many excavators in New Zealand – both new and used. This can be a costly exercise having to retrofit drop valves – at some expense – to non-complying machines. 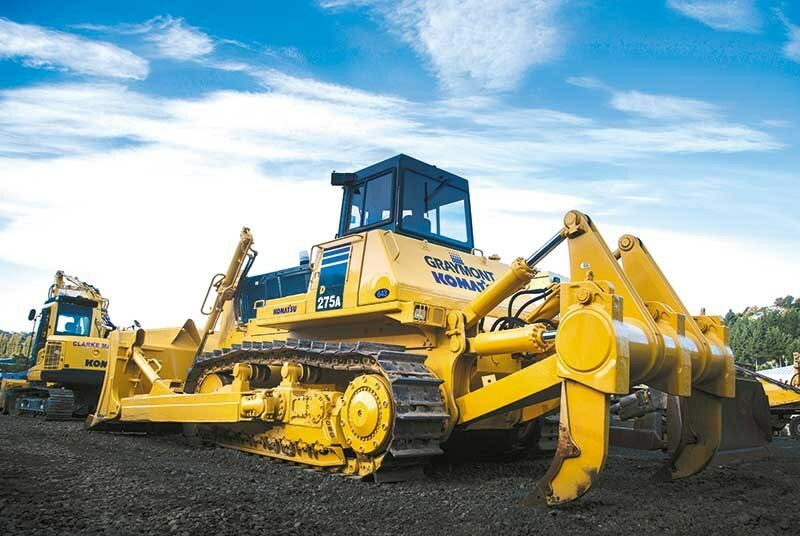 "Komatsu machines come fully spec’d with all safety requirements, including drop valves on their excavators, and have done so for years. So complying with these new requirements has cost me nothing," he says. "Other suppliers haven’t been selling their machines with drop valves, so lots of other owners have had to retrofit them to existing machines, which is another cost for them. "We have five excavators still in our fleet without drop valves, but we are about to get rid of them, and we’ll be replacing them with our latest order of Komatsu machines." As a machinery hirer, Clarke is a huge fan of the KOMTRAX remote monitoring system. "KOMTRAX is amazing! I use it all the time," he says. "It’s just a must for a hire company. "We can see when machines are due for a service, if they have any faults, where they are located, how they are being operated – we can look at everything. "We’ve had machines stolen, and got them back the next day thanks to KOMTRAX – and other people’s machines were at the same place! "I am constantly looking at KOMTRAX reports every day, so I can really see what’s going on. I pretty much couldn’t run my business without it," says Clarke.